Mr. Fiore is a veteran healthcare services executive who has spent the last thirty-seven years in physician-driven businesses. In 2002, Mr. Fiore co-founded Vantage Oncology, a developer and operator of multi-specialty oncology treatment centers and a cancer care management company, and served as Chairman and Chief Executive Officer until McKesson acquired the business in 2016. Mr. Fiore started his healthcare career at American Medical International, a publicly traded hospital operator that is now a part of Tenet Corporation. Mr. Fiore spent eleven years at Salick Healthcare, a publicly-traded operator of outpatient cancer centers and dialysis clinics, ultimately serving as Chief Operating Officer prior to its sale to Astra-Zeneca. After Salick, he served as Chief Executive Officer of Interdent, a dental service organization. Mr. Fiore also has previously served on the Boards of Titan Health Care, a developer and operator of outpatient surgical centers, which was acquired by US Surgical Partners, and Cadent, Inc., an Israeli based technology company that developed solutions for the dental industry, which was sold to Invisalign. 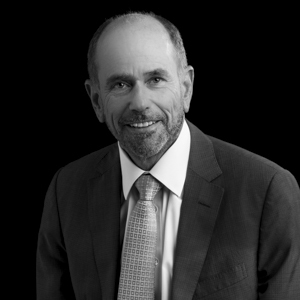 Mr. Fiore currently serves on the board of California Cryobank and remains a senior advisor to McKesson. He holds a Bachelor of Arts in Economics and Anthropology from Amherst College, a Master of Science in Accounting from New York University, and a Master in Business Administration from Harvard University. Linden is an investment adviser registered with the United States Securities and Exchange Commission. Linden may only transact business or render personalized investment advice in those states and international jurisdictions where it is registered, has notice filed or is otherwise excluded or exempted from registration requirements. The purpose of this web site is for information distribution on products and services. Any communications with prospective clients residing in states or international jurisdictions where Linden is not registered or licensed shall be limited so as not to trigger registration of licensing requirements. Nothing on this website is to be construed as a solicitation to offer investment advice or services. Information about investing in Linden’s funds is only available in the form of Private Placement Memorandum and other offering documents. These documents contain information to help investors evaluate Linden’s funds’ investment objectives, risks, charges and expenses, among other factors, before considering an investment. © 2019 Linden LLC. All rights reserved. You are about to leave our site.